Dana Redd cooks Linguini with Fresh Crab Meat, Heirloom Tomatoes, and Herbs with Nick Acocella on the December 28 episode of Pasta & Politics on NJTV. Camden Mayor Dana Redd cooks linguini with fresh crab meat, heirloom tomatoes, and herbs with Nick Acocella on Pasta & Politics on December 28 at 8pm on NJTV[/caption]On each episode of the NJTV series Pasta & Politics, host Nick Acocella invites a New Jersey political giant into the kitchen to talk politics and cook a meal together. 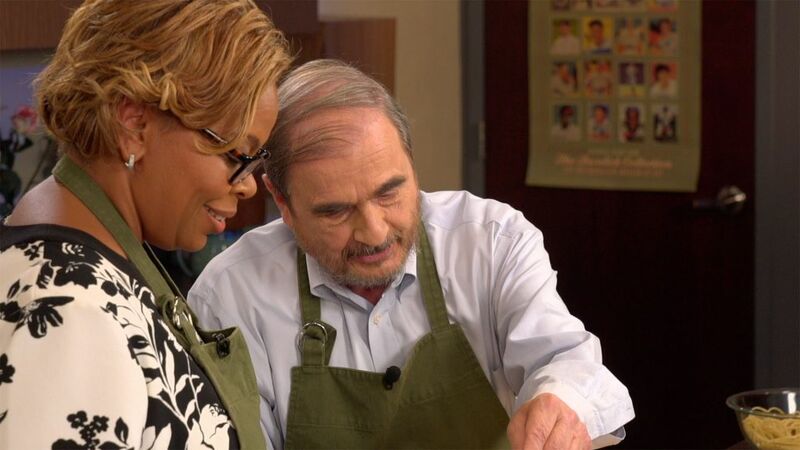 Camden Mayor Dana Redd and Acocella prepare a quick recipe of linguini with fresh crab meat, heirloom tomatoes, and herbs on the December 28 program. Here’s the make-it-yourself takeaway! Cook the linguini in salted boiling water for about two minutes. Mix the pasta with the crab meat mixture. Sprinkle reserved parsley on top of the linguini.